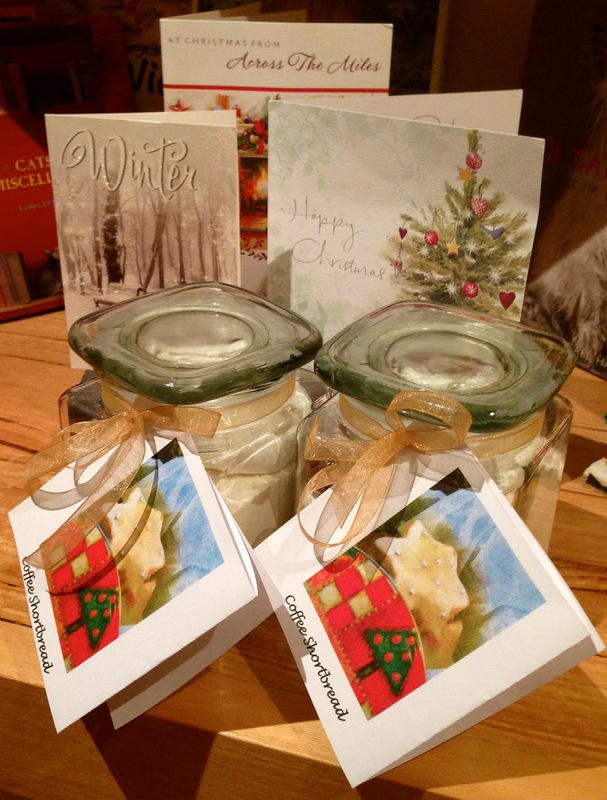 I have always been inspired by homemade gifts for Christmas and have normally cooked gifts from the heart - this time I thought I would prepare all the raw ingredients and package them up in pretty jars. All that was left was to add the recipe tied with a bow. Click here for the Coffee Shortbread Recipe that I made last Christmas. Every year for the past few years I have been going to do this, I have the jars and recipes - so what's stopping me? These look great, I'd love to be a recipient of one of those - I'm not asking for one, just thought how lovely it would be to make some cookies by just tipping out a jar of ingredients and adding say butter and egg - simple. Obviously not an original idea - but lovely to prepare - and hopefully lovely to receive. Go for it you still have time! I agree with Jennifer, a wonderful gift, and your family and friends are fortunate to receive such delightful gifts, so elegantly presented. Thanks Jude. I have been very inspired by your pinterest collection. These jars are not in the same class as your gingerbread houses - but its the thought that counts. Thank you - the gals at work loved getting them too. What a great idea. Thanks for sharing the coffee shortbread recipe too, now we all have a christmas gift from you. Merry Christmas to you and yours Debby.